When societies grow opulent life becomes more precious to the living. People have a good reason to want to live longer lives as more of the promises of Paradise become Earthly. As a result, the ever growing body of evidence of the harmful effects of tobacco products to human health has, not surprisingly, been met with alarm. Cigarettes, the most common tobacco product, have been discovered to not only cause harm to the direct user, but also to bystanders, as a result of so-called second-hand smoke. In response, anti-tobacco advocates and governments have lead a three-decade long charge which has seen smoking in most public places turn from familiar sight to a thing of the past. Likewise, tobacco advertising and the selling of tobacco products to minors have become outright outlawed in North America and the European Union (EU). Further, the EU has exerted pressure on candidates for membership to adopt its laws regarding tobacco advertising and smoking in public places. 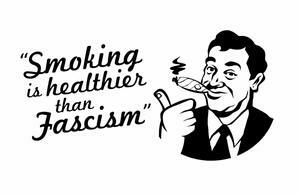 As these measures failed at their stated goal on the one hand; and as governments grew in need of more revenues to pay for social programs on the other hand, a new approach was introduced in the War on Smoking: Prohibition-By-Taxation. While anti-tobacco activists have the best of intentions in mind, through an application of analysis of the economics of prohibition, this paper will demonstrate that prohibition-by-taxation is an unwise course of action since it encourages organized crime in the form of smuggling, fails to curb people's tobacco consumption habits, and adversely impacts low income communities. For these reasons government efforts to dissuade people from consuming tobacco ought to be abandoned. Despite the author’s awareness of dissenting arguments concerning the actual harmfulness of tobacco products, this view will be completely ignored, for the express purpose of analyzing the effectiveness of prohibition-by-taxation. While prohibitions of goods and services come about from a desire for social engineering, their failures come about as a result of the unclear understanding of the nature of the economics of prohibition. Austrian economist Mark Thornton, in his definitive study on the subject explains that "[d]espite the heated debate little progress has been made toward a theoretical understanding of prohibition. Economists and other social scientists have spent much more effort on empirical investigations and cost-benefit analyses than on theory" (Thornton 71). He goes on to summarize the nature of prohibition. Prohibition is designed to curtail the production, exchange, and consumption of a good with the ultimate goal of extinguishing it. While prohibition is an unusual and extreme form of government intervention, its effects can be analyzed within the framework of other interventionist polices such as taxation or regulation. Penalties such as fines, confiscation of assets, and jail terms are established to discourage activity in the market. Enforcement of prohibition requires the use of resources to make the penalties effective in discouraging these activities. The diversion of existing enforcement facilities may involve some savings but does not eliminate the need for additional resources. The amount of resources devoted to the enforcement of prohibition will (with a given penalty structure) determine the degree of risk placed on market participants and therefore the effects prohibition will have on production and consumption (Thornton 73). [t]he Austrian, or market-process, approach to economic analysis ... best exemplified in the works of Mises ( 1977,  1951, 1922,  1977), F. A. Hayek (1937, 1945), and Israel M. Kirzner (1973, 1985) ... begins with the truism that human action is purposeful and aimed at enhancing individual utility amid uncertainty and imperfect knowledge. Economic development occurs through exchange, learning, entrepreneurship, innovation, and the evolution of institutions. The market economy generates solutions to social problems; for example, the introduction (or evolution) of money reduces the transaction costs of exchange. The generation of such solutions is a discovery process because it requires alertness to opportunities and interaction between numerous individuals over time. The market-process approach employs a multidimensional view of competition, whereas orthodox economists often rely on simplifying assumptions, such as homogeneous products. The market process approach reminds us that goods are subjectively evaluated by individuals, who base their evaluations on many features of products (Thornton 77). 2) If the demand for the product is highly inelastic, then the artificially increased retail price on the legal market creates opportunities for alternative--"black"--market activities. Tobacco products, due to their perceived addictive nature, tend to fall under the category of goods with highly inelastic demand. The artificially inflated price leaves room for profits sufficient enough to cover the additional costs involved in smuggling, as well as to pay for the risk involved in undertaking an illegal enterprise. In such a manner the government invites what it labels as "criminal elements," smugglers, to set up an alternative market in order to satisfy the demand for tobacco products. "The elimination or control of a particular economic activity produces profit opportunities that previously did not exist. These profit opportunities will likely disrupt the plans of bureaus and undercut the pursuits of regulators and government policymakers. The severity of the intervention will determine the extent of these new (black market) profit opportunities" (Thornton 82). In the case of prohibition-by-taxation of cigarettes, the government sets the minimum legal price. Thornton calls this approach the Wholly Superfluous Discovery Method. "[T]he wholly superfluous discovery process is particularly relevant to prohibition. The profit opportunities created by prohibition will result in new methods of production, transportation, inventory, distribution, and marketing," inducing sellers to stay a step ahead of law enforcement (Thornton 82). One method often used by smugglers to stay in business is corruption of the law enforcement and judicial systems by means of bribery (Thornton 83). To be sure, high excise taxes have failed to reduce smoking. According to Hudgins, when Canada introduced a large increase in tobacco taxation in 1991, the estimated profits that stood to be made by smugglers were at $1 billion (not adjusted for inflation) (Hudgins 4). As a result, while previously only 0.02% of all purchased cigarettes were estimated to be bought illegally, after the introduction of the new tax the percentage of illegal cigarettes sold rose to an estimated 25 (Hudgins 3). According to Lee "[i]t was widely reported that smuggled cigarettes made up 30-50% of the Canadian market. Taxable cigarette sales nose-dived as taxes rose during the mid- 1980s and early 1990s" (Lee 2). Similarly, immediately after the introduction of city and state taxes on cigarettes in New York, "local newspapers reported a 'flood' of cigarette smuggling into NYC and a rise in illegal street sales of untaxed cigarettes, particularly in low-income neighborhoods. Popular brands, it was reported, could be bought on the streets from bootleggers for as little as $5.00 per pack" at a time when legal retail prices of cigarettes averaged $7.50-$8.00 per pack (Shelley, Cantrell et al. 1). The unwanted effects of smuggling are compounded since people are able to purchase cigarettes at lower prices than the authorities would like them to pay; tax revenues are lost to smuggled products, while more law enforcement personnel is retained in order to combat smuggling; and honest businesses are faced with unfair competition in the shape of those who choose to circumnavigate the law. Most smokers were aware of a recent expansion in the illegal cigarette market in Harlem, which they observed corresponded with the cigarette tax increase. The $5 man was the commonly used term for a highly visible network of bootleggers who appeared after the tax increase throughout the community on street corners, in busy shopping areas, outside subway entrances, and in apartment buildings. Most smokers admitted buying cigarettes from the $5 man rather than stores as a way of avoiding higher taxes (Shelley, Cantrell, et al. 3). Luccasen III, Coats et al., find that in the UK while "overall duty paid sales of hand rolling tobacco (HRT) have fallen by almost 50%, overall consumption of HRT has more than doubled" (Luccasen III, Coats et al. 2). Similarly, they find that middle and high school students in Turkey are able to easily buy smuggled cigarettes (Luccasen III, Coats et al. 2). In fact, Canada began a temporary about turn in policy when it was discovered that the number of teen smokers was actually rising due to smuggling activities (Lee 3); perhaps because smugglers do not check ID's. Again we see a result quite the opposite of the target set by government planners. It can easily be observed that neither the increased prices, nor the inconvenience of buying smuggled cigarettes play and effective role in turning people away from consuming tobacco products in general, and cigarettes in particular. "1. Expenditures formerly made on prohibited goods would be put to better use on items such as life insurance, food, shelter, and savings." This argument neglects the relative elasticity of the demand of the good in question. As can be seen from the studies cited, consumers will pay higher prices for cigarettes rather than spend the money they would have otherwise spent on cigarettes on other goods or services. From Shelley, Cantrell, et al. (6) we learn that "[m]ost smokers said that regardless of price, they would find a way to purchase cigarettes, legally or illegally, because they were addicted and unable to quit. But they acknowledged that the rising price of cigarettes was leading to potentially detrimental tradeoffs for those smokers who were unable to quit: 'They would exchange their food stamps to get that [cigarettes].' (Female smoker, 25-49 years)" With low income individuals the extra money spent on cigarettes is that much more likely to be money that would be otherwise spent on general welfare of the individual. "3. Consumption of prohibited products causes harm to the health of the consumer. Illness reduces time on the job, increases the demands on health-care facilities, and increases the cost of government-provided health care." This argument neglects the fact that personal pleasure is the most desired good and that individuals tend to value it more highly than what seems rational to intellectuals, legislators and planners. Furthermore, the availability of third-party healthcare seems only to be an inducement to unhealthy behavior. "4. Addiction, compulsive behavior, and habits are problems beyond individual control and must therefore be placed in the control of the state." Governments across the world have been fighting one form of addiction or another for the better part of the last one hundred years with little or no success. Practice has proven this argument wrong, as prohibition of a good tends to make it more potent and thus more difficult to control by its user. "5. Use of certain products causes violence and criminality in individuals who otherwise would not indulge in such behavior. Prohibitions help reduce crime, corruption, and social vices." Contrary to this argument, history shows that prohibitions give rise to organized crime. There is no better example that the rise of the Mafia in the US during Prohibition. The lure of crime is more likely to be found attractive among the lower income members of society, thus increasing their chances to become incarcerated. These individuals perhaps could find better income employment if tobacco products were not pushed outside the realm of legality, since this would mean a higher demand on the job market. It is not difficult to see that the poor suffer doubly by the measures that are introduced with the intent of improving the quality of their lives. "7. Use of certain products is infectious and would quickly spread to all socioeconomic groups, possibly leading to the addiction of substantial segments of the population." This argument is another manifestation of the overgeneralization of orthodox economists. People are seen as bulk masses unable to make personal decisions for themselves. "8. Use of these drugs is unnecessary and has no beneficial social function." Value is subjective, thus what is a "beneficial social function" cannot be defined in any objective way. As noted by Shelley, Cantrell, et al., low-income earners use cigarettes as a means to cope with stress, thus finding social benefit in them. "10. Given a properly established policy with appropriate penalties and adequate resources, potential users will be discouraged from experimenting, and current users will be isolated or forced to abandon their habits. In the long run, then, prohibition can virtually abolish the product from the market." The "$5 Man" found in the study conducted by Shelley, Cantrell, et al. rebukes this argument. The high exposure and visibility of the "$5 Man" makes him an easy target for arrest. On the other hand, anti-tobacco activists claim that the percentage of smokers is declining. This claim is difficult to prove, as no reliable empirical data exists. At the same time it is estimated that the absolute number of smokes in North America has remained largely unchanged for the past 40 years. Shelley, Cantrell, et al. (1) give a perfect example of how unreliable data on diminishing smoking habits is. In one instance they cite that "data from the 2003 NYC Department of Health and Mental Hygiene's Community Health Survey (CHS), a telephone-based survey of 10,000 NYC residents indicated an unprecedented 11% decrease in smoking prevalence that corresponded with the tax increases. Smoking rates fell from 21.6% in 2002 to 19.2% in 2003." Despite the CHS's claim of an 11% decrease in smoking, the year-on-year rate between 2002 and 2003 remains within the standard margin of error. Another example in the same study tell us that "[a]lthough smoking in the United States has declined, in part because of effective statewide tobacco control programs and policies, disparities in smoking prevalence by socioeconomic status appear to be widening." Additionally, it is impossible to know whether the percentage of smokers is declining as a result of government intervention or due to shifting attitudes among consumers--or simply that it appears to be declining as a result of an increase in the sales of untraceable illegal cigarettes. However, a far stronger case for anti-tobacco legislation is made on the grounds that it tobacco related illnesses increase the costs of socialized healthcare. The nature of third-party healthcare coverage is outside the scope of this paper, however, at this point it should be noted that third-party provided medical care encourages less personal responsibility on behalf of individuals. Likewise, the quality of smuggled cigarettes is not put under the same scrutiny by consumers as that of legal tobacco products. A major flaw in the Wholly Superfluous Approach is particularly detrimental to healthcare, as "[t]he product, its quality, and attributes will experience tremendous change moving from a competitive market environment to one dominated by prohibition. These changes should of course be attributed to intervention, not to the market. Cave and Reuter (1988) found that entrepreneurs (smugglers) learn from experience; such increased knowledge can result in lower prices even during periods of increased enforcement efforts" (Thornton 82). Economies of scale encourage higher potency (Thornton 93), while lack of advertising and transparency encourage diminishing qualities of products. [P]rohibition establishes a wholly superfluous discovery process with respect to the potency of illegal [products]. Black market entrepreneurs are spurred on by artificial, prohibition-created profit opportunities in a similar fashion to entrepreneurs in a legal market responding to profit opportunities. At one level, the entrepreneur supplies a profit-maximizing quantity of the product, in both legal and illegal markets. On another level, the profit motive prompts entrepreneurs to alter production techniques, product quality, and the product itself. Market forces lead to certain industry standards.... In prohibited markets, however, consumers face fewer choices at any time, but severe product variability over time (Thornton 89). [t]obacco quota holders who agreed to leave the industry were paid $1.05 per pound for quota. … But some farmers who took money to leave the industry then switched their land and equipment to relatives who continued growing tobacco under the new licensing system. In conclusion, the detrimental side effects of prohibition-by-taxation legislation are obvious, while the effectiveness of these polices remain dubious at best. Anti-tobacco policies come about due to misconceptions of the market’s ability to solve social problems (although rent seeking is typically required for prohibitions to be enacted). Bureaucracies established by prohibition are inherently inefficient and unable to discover the knowledge required to solve social problems. Prohibition also suppresses the market’s ability to solve social problems, so that little or no progress is made while prohibitions are in effect. And finally, prohibitions create profit opportunities which add to the problems prohibition is intended to solve (Thornton 83). As already noted, prohibition is an example of government interventionism, which is in itself the antithesis of a free market. The market allows consumers to decide how to spend their incomes. Anti-tobacco advocates neglect the fact that not all individuals have the same wants and goals in life. Tobacco products have been accepted to be detrimental to human health since the 1960s, yet remain among the most popular goods on any market. This must mean that consumers value the immediate pleasure of a cigarette far more than their long term health. Hudgins, Edward L. "Memo To The Mafia: Smuggle Cigarettes." Regulation 21.2 (1998): 49-55. Lee, Dwight R. "The Government's Crusade Against Tobacco: Can It Ultimately Succeed?" USA Today Magazine 126.2636 (1998): 16-19. Shelley, Donna; Cantrell, M. Jennifer; Moon-Howard, Joyce; Ramjohn, Destiny Q; VanDevanter, Nancy. "The $5 Man: The Underground Response To A Large Cigarette Tax Increase In New York City." American Journal Of Public Health 97.8 (2007): 1483-1496. Thornton, Mark. The Economics Of Prohibition. Salt Lake City: University of Utah Press, (1991). Born in the Socialist Federal Republic of Yugoslavia and exiled from Macedonia with his family in 2000, Dušan manages his family’s wooden pallet recycling company and resides in St. Catharines, Ontario. He is a graduate of Sir Winston Secondary School.